We’ll have the return of favourite such as pond dipping, duck races and the ever popular Lamb National, along with some new events and activities. 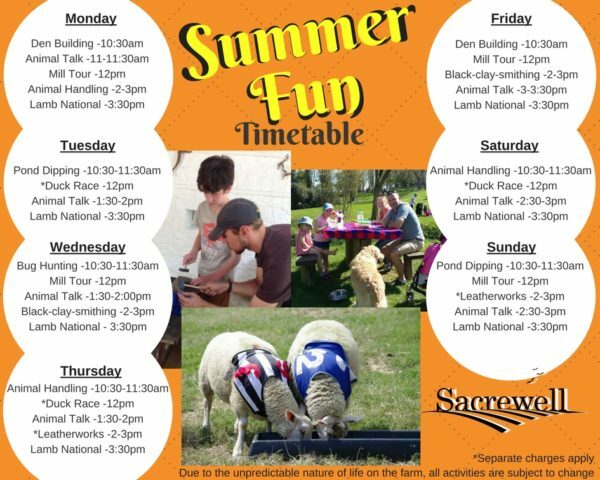 Make sure you pop down to Sacrewell for a day this summer, or better yet, why not camp? Check the timetable below to see which activities will be happening on which days of the week.